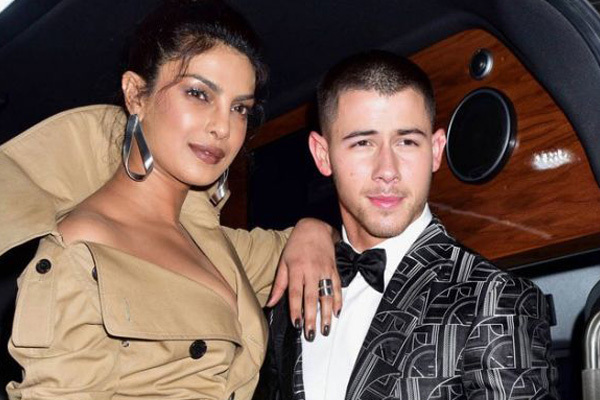 MUMBAI: Actress Priyanka Chopra, who has been creating a buzz with her appearances with American pop star Nick Jonas, walked arm in arm with him at his cousin's wedding. The 25-year-old Jealous singer took Priyanka, 35, as his date to attend his cousin's wedding. They arrived arm in arm, reports aceshowbiz.com. The rumoured couple, who played down speculations they were dating when they showed up at the 2017 Met Gala in New York together, have now embarked on a real relationship, according to multiple reports. The Baywatch star was seen roaming around with the singer on a boat with friends over America's Memorial Day weekend last month and was photographed cuddling up to him in a group photograph while they attended a Dodgers baseball game here together on 26 May. They held hands.